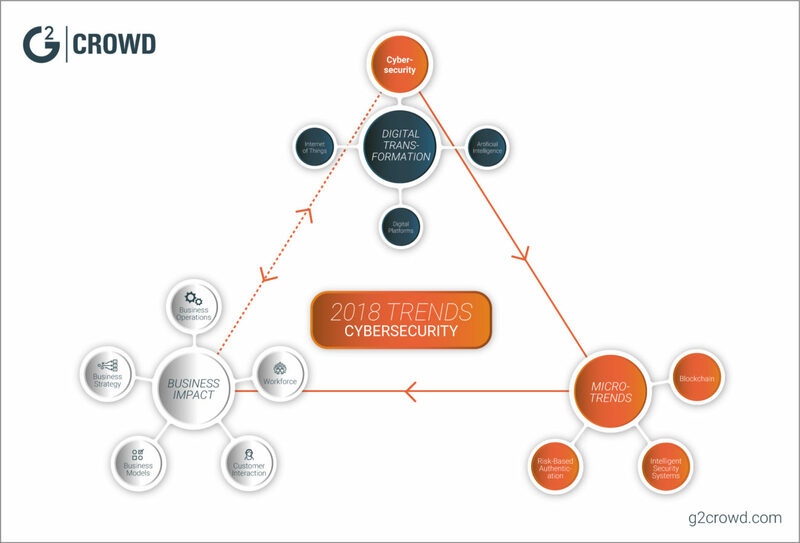 Cybersecurity technology is forced to adapt to better combat the evolving digital threat landscape. Artificial intelligence and automation will play a large role in aiding IT professionals and improving their ability to defend against cyberthreats. Self-regulating defenses and continuous monitoring will increase security teams’ ability to identify and respond to threats. Bitcoin and cryptocurrencies are the go-to example of blockchain technology. But there are a wide range of businesses and industries planning to utilize the technology. In 2018, enterprise tech giants and startups alike will release blockchain platforms. Risk-based authentication (RBA) is a quickly evolving component of the identity and access management space. These tools weigh a variety of factors, ranging from the user’s physical behavior and device to their IP address and location. Today, data is more valuable than ever, and intelligent security presents a view into the future of cybersecurity. Human error will have less impact and machines will adapt to defend themselves from web-based threats.